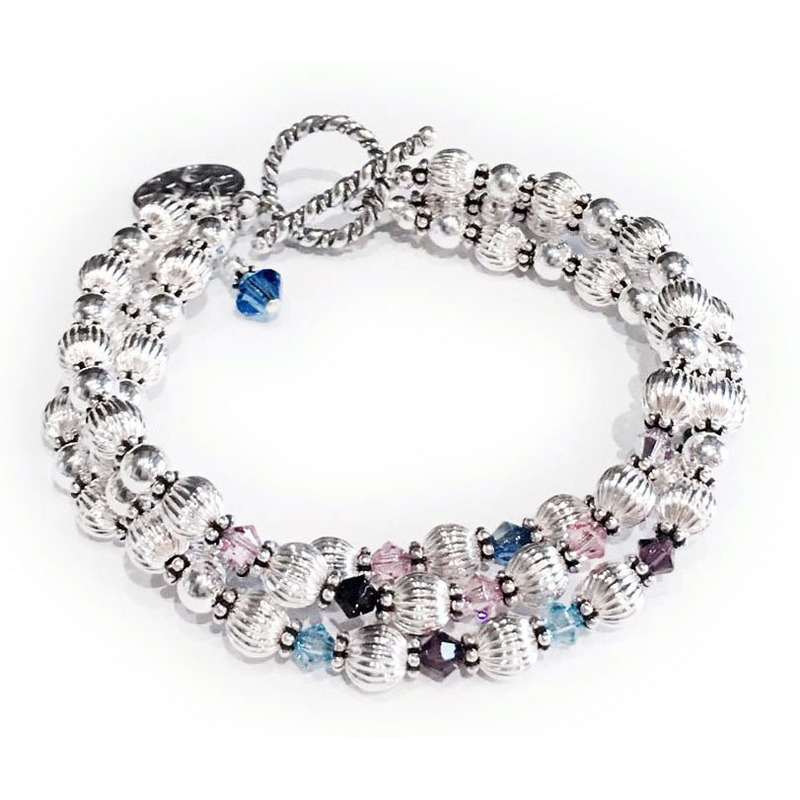 This is a beautiful sterling silver and Swarovski crystal Birthstone Bracelet with 3 strings; 1st string - kids, 2nd string grandkids, 3rd string - great grand kids. You cold put all on one string or if you have too many to fit I can create a 5 -string bracelet in this design. Each string is $59. 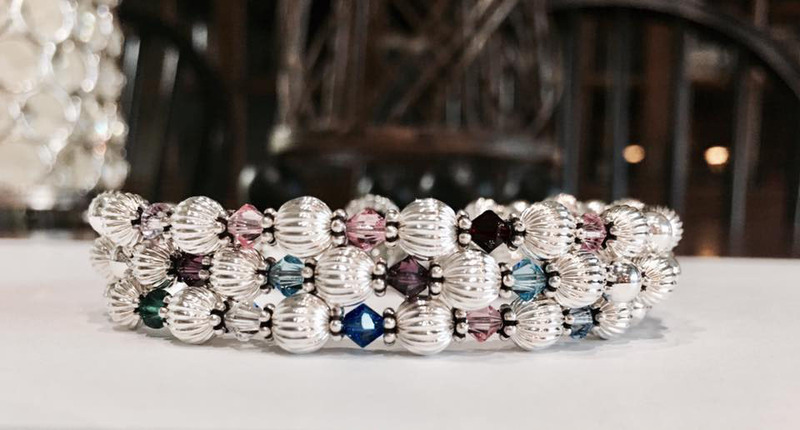 The sterling silver balls alternate with smooth and corrugated with sterling silver daisy beads in between each ball. This bracelet (and all my bracelets and necklaces) can be further personalized. Just call or text me 615-490-2177 with questions or to place your orders if you need more than 9 birth months because I am limited with my ordering software. Birthstone Bracelet shown with a Swarovski crystal birthstone dangle and Tree of Life Charm. The clasp shown is a Twisted Toggle clasp (free with purchase).